Sadly, the year ended in the same way as it began. The emergence of ISIS in the world order and the demonstration of its strength as a terrorist power, first with the attack on the offices of the Charlie Hebdo weekly and then the terrorist attacks on the 13th of November in Paris, show that over the year it has not only consolidated itself but also exposed global powers’ troubles dealing with a non-state actor seeking to become a sovereign state. However, a glimmer of light emerged recently when Iraq hit back hard in retaking Ramadi, the terrorist group’s administrative capital. 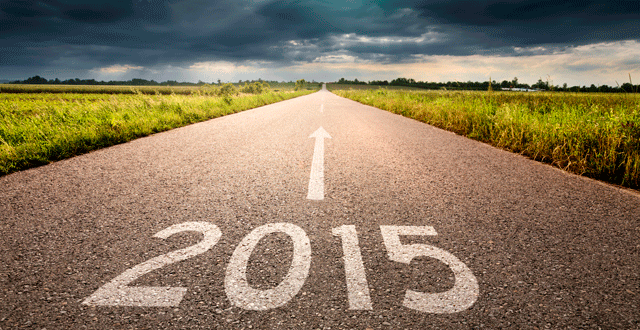 The end of 2015 is a continuance of a course that was already becoming apparent last year. More predictable than 2014, tragedies such as the bloody civil war in Syria and the migration crisis continued, the latter shocking public opinion when a Syrian refugee child appeared dead on the Mediterranean coast. Who would have imagined in January that by December Europe would play host to a million refugees? The year in Europe ended with the signature of COP21, a global deal to address climate change, and elections in Spain that continue the trend for political change that was first seen in Greece and Italy. The rise of new political actors challenges the continuity of traditional two party models and also raises the question of whether groups such as Podemos and Ciudadanos will play an active role on the country’s political scene. It is also important to note that over the last year Barack Obama’s government has made substantial modifications to its policies that have affected both the United States and the world at large. In addition to reopening the United States embassy in Cuba, putting an end to the last vestiges of the Cold War in the Americas, he signed a historic agreement with Iran, lifting sanctions against the country and forming a partnership to combat the Islamic State. The moral authority of Pope Francis has established a powerful presence on the international stage. Never before has a Pope addressed the United States congress, which is mostly protestant. In addition, following the publication of his Laudato Si encyclical, he raised his voice energetically against the insufficient measures that have been taken to combat climate change, which directly affects the poorest sectors of the world. Latin America started to feel the effects of the international economic recession, and, especially in the case of the South American countries, the slowdown in China. At the same time, it also saw moments of great symbolic and political importance for the future of the region. An unforgettable photograph from this year will be that of the Colombian President Juan Manuel Santos clasping hands with the guerilla leader Rodrigo Londoño Echeverri – Timonchenko – under the approving gaze of Raúl Castro, thus beginning the peace process in Colombia. Meanwhile, the triumph of the Mesa de Unidad Democrática (MUD), gaining an absolute majority in the Venezuelan parliament, presents an enormous challenge in which, while basic macro-economic balance is restored, the social progress of the governments of Chávez and Maduro must be preserved. However, although Maduro quickly acknowledged the opposition’s triumph, today he is questioning some of the elected representatives, seeking to end the MUD’s absolute majority. The same process has occurred in Argentina with the election of Mauricio Macri as president. He must reach a consensus with the opposition and seek to stabilize the country’s economy without harming the social rights achieved by the Kirchner administrations. In Chile, 2015 will be remembered as a year of profound political crisis. The old relationship dating back to Aristotle’s time between money and politics revealed itself in a series of irregularities over the financing of political campaigns, and, together with the tissue paper case, corruption in the ANFP and the moral crisis set off by the cases of abuse in the Catholic church, created an atmosphere of enormous unhappiness and mistrust of institutions and authorities in all sectors on the part of the citizenry. To overcome the feelings of anger and mistrust generated by the events of 2015, it is fundamental that we establish a new cycle in which reforms are only possible via consensus. In international terms the most sensible strategy to combat ISIS is a full, open dialogue between all the world’s powers to coordinate joint political and military measures and establish a common front. In regional terms, Venezuela, for example, must be governed by a consensus that includes all sectors and in Chile we must begin a process of dialogue towards establishing a common vision of the country we want to have in 20 years time. Let us hope that 2016 sees the beginning of a continuous dialogue with a view to a better future for our country, the region and the world.